I was speaking to French-born JR late last week during the opening of London’s latest art gallery, Lazinc on Sackville Street in Mayfair – founded by Steve Lazarides and Wissam Al Mana and the new incarnation of Lazarides. The two-tier space launched with GIANTS – Body of Work by JR, as well as a permanent display of artwork featuring Basquiat, Paul Fryer, and Warhol on a calming upper floor that includes lounges. 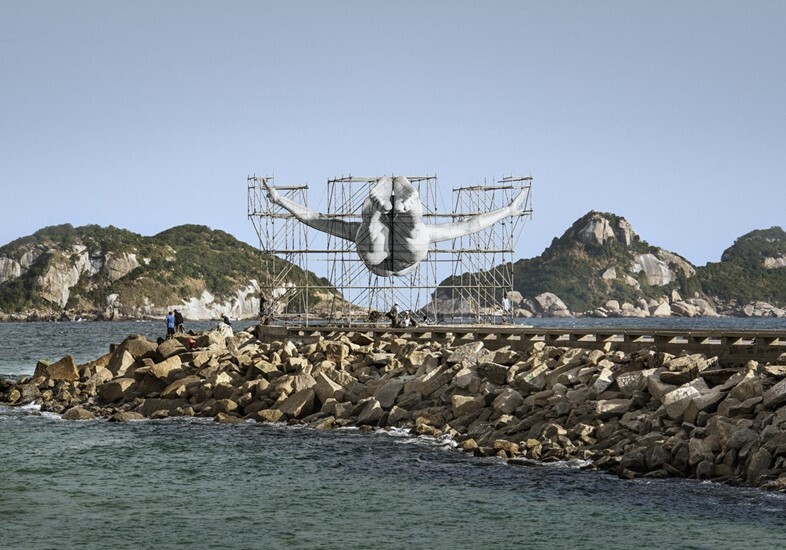 Alongside the exhibition, JR gives viewers access to his artistic process for the very first time, while premiering a new twenty-two-foot outdoor sculpture over the gallery. 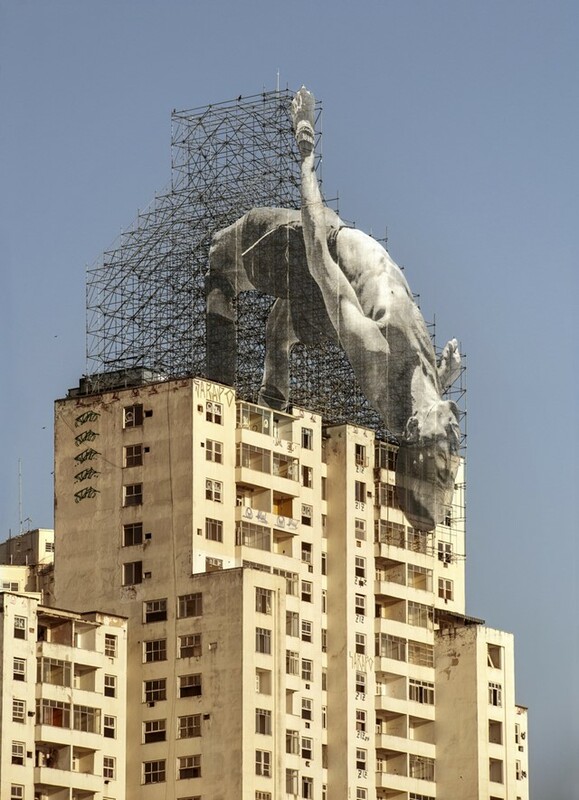 The curation inside features a combination of mixed media and preparatory sketches – all of which were made in anticipation of the GIANTS series, which saw JR erect towering installations of athletes across Rio de Janeiro to mark the 2016 Olympic Games. Today, GIANTS – Body of Work celebrates an unparalleled level of precision that is essential when creating something truly – and literally – monumental. This underlying message can be felt in the subjects, who JR explains, “were all intentionally cast on the premise that they did not make the final team selections in Rio”. Once again, an acute reminder that GIANTS is a triumph of process over final product. Below are some insights from JR that reveal his experimental techniques, and constant need for change. “This exhibition is a presentation of sketches that give insight into my creative process in relation to this type of installation – which is actually a new type of work for me. The space features a selection of pre-sketches. At the pre-sketch stage in the process, I have usually chosen the background and taken different shots of the athlete in various positions. Later in the process, the images will dictate how I build the scaffolding and that’s when construction starts. All the preparatory work and the fine detail shows the complexities involved here. “It really started with the architecture, not the words or the plans, but the buildings in the city. For me, the city is a playground – completely, fully, in every sense. I don’t think people realise – or they do but they take for granted – the fact that the athletes in GIANTS – Body of Work are really diving into water, and really jumping into the air, and in doing that, the city becomes their toy. They didn’t just jump and I photographed an action, he jumped from that building and she swam in that water.